So I’m just about set to leave my Knoxville, TN hotel. I plan to take a circuitous route back to DC – likely heading through Spartanburg, SC and Greensboro, NC (where I hope to see a cricket field!). As for the Montana-Tennessee game last night? What an absolute blast. For a few minutes we could all pretend the Griz were playing SEC football, before coming to our senses and realizing Tennessee was the only SEC team on the field. It was a riot to be there though. I’ll post a bit more later once I get home. 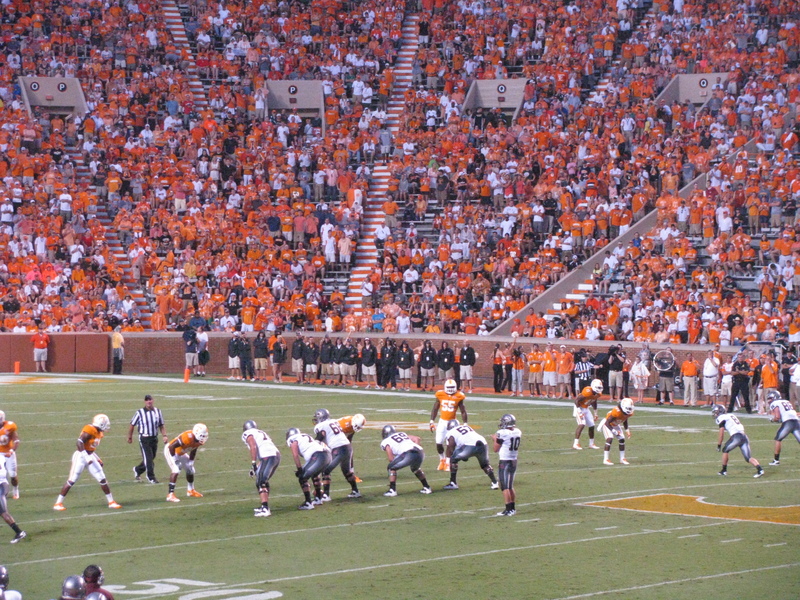 For now, check out my album of photos from the game on Picasa. Also, read my piece on the game at the Billings Gazette’s Cat-Griz Insider page.